Today my guest author is Derek Taylor Kent. You might know him as Derek the Ghost, author of the award-winning MG series Scary School. His first picture book is just came out August 18 called El Perro Con Sombrero: A Bilingual Doggy Tale and illustrated by the talented artist Jed Henry. Derek says that Pepe is actually based on his own dog, Zander, whose nose for mischief was the inspiration for El Perro. Today, Derek is sharing his Top 10 Favorite Bilingual Spanish Picture Books. A short poem about a rooster who is responsible for making the sun rise each day. Each line is vividly illustrated. This is my pick for a short bilingual book that can be read in under three minutes. An award-winning, beautifully told story about the life of legendary Columbian author Gabriel Garcia Marquez. It focuses on how his childhood imagination led him to become one of the one of the great literary figures. This is my pick for best biographical bilingual picture book. I am partial to any book about food, and this one gives delicious insight into another culture by hearing their nursery rhymes about food and cooking. Kids can have fun making up their own melodies and dances. I call this the bilingual Goodnight Moon. It teaches a wonderful lesson to children about all the little things in life that they should be thankful for and happy about. Will put any child to sleep in a good mood. This story wins my imagination award. A young girl’s hair grows so tall that it literally becomes a tree of the forest. The surprise ending is one of the most spectacular and satisfying I have read in a picture book. This one takes my pick for best bedtime story. 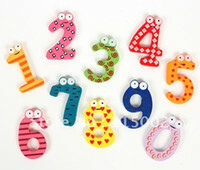 It teaches children counting and colors and will definitely make them sleepy. The final heartwarming illustration sets this one apart and will make every child feel safe and loved. As a comedy writer, I give huge props to a writer who is able to make me laugh via picture book, so this one wins my humor award. A cookie shaped like a pig comes to life and runs away to avoid being eaten. The whole village starts chasing after it and hilarity ensues. This book holds a special place in my heart as it was given to me by my editor at Holt/Macmillan as an example of how El Perro Con Sombrero could be made. It takes the story of Mary had a Little Lamb and gives it a fun twist by making the lamb a llama. This one wins my food award! It’s an ingenious idea by taking a sacred, delicious recipe for Tomalitos (similar to tamales) and turns the whole cooking process into a fun story that kids will enjoy enacting in the kitchen. I imagine if Leslie Knope from Parks and Recreation were to write a picture book it would be something like this. It’s an empowering tale of a little girl who wants to be a firefighter when she grows up but is told she can’t be her boy classmates. When the class visits the local fire station, she ends up proving all of them wrong in spectacular fashion. How about you? What bilingual picture books are you enjoying? Please share! Thanks! Win El Perro Con Sombrero: A Bilingual Doggy Tale by filling out Rafflecopter below. The three bilingual picture books by Amada Irma Perez: My Very Own Room, My Diary From Here to There, and Nana’s Big Surprise are some of my favorite children’s books. Thanks so much for sharing your great bilingual picks Mona!! I love Carmen Lomas Garza’s books Family Pictures/Cuadros de familia and In my Family/En mi familia because they are autobiographical and accurately depict Latino family events. I use them each year to help my bilingual students get ideas for their own writing. Thakns so much for sharing! Those are new to me and I’ll try to get a copy! The nonfiction bilingual picture book, The Pinata Maker/El pinatero, by George Ancona, is a favorite of mine. In Ejutla de Crespo, a village in southern Mexico, seventy-seven-year-old Don Ricardo makes piñatas for all the festive occasions. Tio Rico, as the children call him, is clearly valued among children and adults alike in the community. 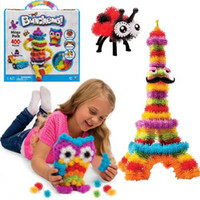 Color photographs and text show how Tio Rico makes both traditional and unusual piñatas for parties and holiday celebrations. Thanks for your great bilingual picks!! Thanks so much iGameMom! I’m going to try this with my two girls who are studying Spanish at school. A wonderful list of books. Most I didn’t know about, so thank you! Thanks so much Karen! Glad you like the list! Is this a giveaway post? It says so at the top, but can’t find how to enter…. I forgot to add the Rafflecopter into the post. I’m so sorry. I just added it back in now. This is totally not up my alley! When we say “bilingual” in Canada, it means English and French! That being said, Spanish is so close to French. Pinning! Thanks for sharing in the Kid Lit Blog Hop! Thanks so much for sharing Renee! I need to do a bilingual French English list too! Our favorite bilingual English / Spanish picture book is The Three Billy Goats Gruff / Los Tres Chivitos 🙂 Thanks for sharing yours! Thanks for sharing Sandra! I will have to find that one! This is a superb list Mia.. I am definitely looking out for these ones at the library as daughter is starting on her Spanish lessons! 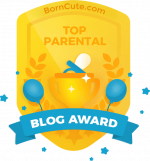 Thanks for sharing over at KidLitBlogHop! Thanks so much! Great giveaway…entering now! Thanks for entering Kristen! Good luck! I really enjoy Martina Finds a Shiny Coin by Yadira Gonzalez-Taylor. It’s based on a Puerto Rican fable and although it’s not bilingual, it includes many Spanish words interspersed within the text. It’s a lovely story about a cucarachita (a young cockroach) learning to be herself. Thanks for the giveaway opportunity and the great list of bilingual Spanish books! Thanks so much for your great book recommendation and for entering my giveaway! I don’t have a favorite bi-lingual book – and I’m not bi-lingual. I would, however, love to win these for the Christian school from which I just retired. They teach Spanish elementary and high school. I have reviewed books for several years and donated most of them to the library at school. They love to see coming. The Spanish teachers would LOVE to have these for the kids. Now if they were bi-lingual – French, I’d send them to my daughter who homeschool’s her 4 little girls and is teaching them French. She had 7 years of French herself. I agree that a bilingual book is a great way to help learn a language. Thanks for entering! Yes! I am a Spanish teacher in Melbourne Australia and resources here are very scarce. I have been looking for great books for MONTHS and came across your article today. Thanks so much! I have another pile of bilingual Spanish books that are different from these. I’ll post on that soon for you!